Life isn't perfect, and neither are families. 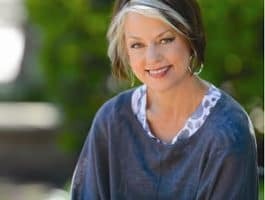 Elisa Morgan, founder of MOPS International, (Mothers Of Preschoolers) talks honestly about her parents' sudden divorce when she was five, her mother's alcoholism, and her father's absence. Armed with a heart of faith, Elisa determined to create the perfect intact family once she married and had children of her own. While her efforts still didn't give her the perfect family, learning to forgive the family God gave her was transformative. Bob: Growing up, Elisa Morgan remembers having a distant and detached relationship with her father—a relationship that, at times, was painful. Elisa: When I was a teenager, I remember my dad saying to me, “As long as I have financial responsibility for you, I’m not going to be able to love you.” Wow! What does a kid do with that? Because I’m 15/16 years old—of course you have financial responsibility. That separated us for years! Bob: This is FamilyLife Today for Monday, November 17th. Our host is the President of FamilyLife®, Dennis Rainey, and I’m Bob Lepine. We’ll look carefully on today’s program at the brokenness and dysfunction of Elisa Morgan’s family life as she was growing up. Stay tuned. Have you ever looked at family Christmas pictures?—you know, the ones that everybody sends out—the picture of the family. Dennis: —but you can’t get a perfect family. Dennis: Not this side of the pearly gates. Bob: Well, and to get the perfect picture—you usually have to shoot about 700 different shots to get everybody looking at the camera and smiling just right. We’ve got a guest with us who, I think, knows a little bit about imperfect families. Elisa Morgan joins us, here again, on FamilyLife Today. Elisa, welcome back. Dennis: Well, many of our listeners know Elisa, harkening all the way back to MOPS International, when she grew that ministry from 350 groups—I didn’t know this—to more than 4,000 groups around the world; right? Elisa: It was a powerful season. Dennis: No, it’s called The Beauty of Broken. Dennis: And I want to go back—I want to get your story because I think, a lot of times, we don’t read books that really give us an authentic look at how and where someone grew up. Dennis: And here you’ve been the CEO of a major ministry that touched millions of lives—certainly millions of children—and you’ve written a book now that takes us back into your childhood. It really begins with a conversation you had with your dad when you were five years old. Elisa: It does; it does. Yes, the subtitle of this book is There’s No Such Thing as a Perfect Family: My Story and Likely Yours Too. But what you’re referencing is that I come from a broken family. Many people do, but I do. When I was five years old, my dad called me into his home study. He had this big white upholstered chair; and I loved “Daddy time.” He beckoned me up onto his lap. He turned my little shoulders so I was eyeball to eyeball. He looked straight into my eyes and he said: “Elisa, I’ve decided I don’t love your mother anymore. We’re going to get a divorce.” Truly, in that moment, I felt like my family fell and broke. I wondered what I had done to break it. Bob: At five, you thought to yourself, “I did this”? Bob: And did you think, at the time, “This is horrible.” Or did you think, at the time, “This is just going to be different now”? Elisa: No, I thought it was horrible. I loved my daddy and I did understand enough that our family was breaking apart. My mother, and my older sister, and younger brother, and I moved across the United States from my father. That was enormous disruption and change. Now, in the 1960s—maybe the year 1960 to be exact—we were a divorced family. There really were very few of those. We lived in the San Francisco Bay area—in a suburb. My mom drove into the city to work. We lived there for several years. Then she moved us to Texas, which was where her roots were. But I remember I could go up and down any street in my neighborhood and touch every house of the kids that I knew and I went to school with and I know one other single-mom family. We were a great oddity. There was considerable shame about that, especially aided by the fact that I can remember, as a 10-/12-year-old, waking my mom up to get her to go to work because she couldn’t get herself up because she struggled with alcohol. So, I had alcoholism and abandonment—you know—these really tough issues. And then, add to that, we had financial struggles because we didn’t have enough money. We lived in an area that looked like we had enough money—so there was the need to keep up the pretense. I would look back now—and I’ve had gobs of therapy, just to be honest with all the listeners—but I would look back now and say that I was an over-functioning person. I took on uber-responsibility. In the ACOA—or Adult Child of an Alcoholic system—I would be the hero. I thought I could fix it all. I thought it was my fault, and I thought I had better fix it. Bob: You were aware of your mom’s issue with alcohol at a young age—eight, nine, and ten. How did you—do you remember how you became aware? Elisa: It was such a part of the fiber and the fabric of our days and nights. My mom would sit on the end of the couch in our family room with her high ball of Scotch and water—you know, just a little bit. She would have her cigarette trailing up. She was always—I want to be clear here—she was loving, she was creative, she was a brilliant woman; but she was a woman not made for her time. My mother was a radio talent / she was a television person. When she met and married my father, she retired from all of that in the 1950s and really lost herself. Then, as a divorcee, I think she carried around a giant stigma of failure. It was obvious that she had a problem with drinking. She would pinball down the hall late at night—I could hear her going against the walls to her room. And, again, she couldn’t get up in the morning. Her alarm would blare, waking me up. I would go in the kitchen—and grab some coke and a couple of chocolate chip cookies and take them into the bedroom—and try to get her to wake up because she needed to go to work because we needed the paycheck. Dennis: How else did you absorb that divorce and, really, describe kind of what you were like in grade school, growing up, after your parents’ split. Elisa: I was a very good girl. I did everything right—I cleaned the house / I took care of the pets. I realized, not long ago—we had a black cocker spaniel. I realized, not long ago, that when she was ill—and we didn’t know it—I guess she had cancer / we found out—but when she was ill, she came into my room and got up on my bed and slept at my feet. Dennis: Your book is about families that are broken. Divorce is not the only way families get broken. Bob: In fact, in your book, you make it clear that intact families are broken families; right? Elisa: Every one of us ends up making a broken family in one way or another because we’re all broken. As I go on in my book and talk about my original family being a broken family, I decided I was going to create a perfectly intact second family—bing!—it was going to be awesome! I met my husband in seminary. We pledged we’d never use the word divorce. But, guess what? Bob: Let me go back to your childhood. Your ongoing relationship with your dad—did you have contact with him? Elisa: We saw our dad about once / maybe twice a year. He lived thousands of miles away from us. He was a professional—very responsible man / a CEO of a large corporation. He would come to see us, and he would bring matching dresses for my older sister and myself. We would put them on with our black patent leather shoes and go out to some steakhouse and saw at steaks. I remember trying to think of grown-up things to talk about with him to keep him interested in me. But, honestly, some of the hardest things happened when I was a teenager. I remember my dad saying to me, “As long as I have financial responsibility for you, I’m not going to be able to love you.” Wow! What does a kid do with that?—because I’m 15/16 years old—of course, you have financial responsibility. That separated us for years! When I was in seminary myself—and again working on understanding how God, as a Father, could love me when my earthly father had abandoned me—I really felt drawn to try and reestablish a relationship with my dad. He wasn’t financially responsible for me, at that time. I called him and asked if we could meet. I went back to my room. I picked up my Bible, where I’d been reading it, because I was undone by this. I didn’t know how to pull myself together enough to trust this. I had been reading in 1 John, and I went there. I read in 1 John 4:18 that there is “no fear in love but perfect love casts out fear because fear has to do with punishment.” Then it went on to talk about how Jesus had endured any punishment we could ever imagine for us on the cross. I realized I was afraid of the potential punishment that my father would reject me again. I realized God was assuring me that he didn’t have that power—that God had bought complete acceptance for me through His Son. That was a stepping stone for me. Over the years, I continued to be able to love—learn to love my dad. You know what? I think he loved me too. When I was in my early 30s, I spent Christmas—one particular Christmas season—close with him. Our family was there. We had finished dinner. My husband and kids left and his wife left, and it was just my dad and I at the table. He looked across the table at me. He said, “Elisa, I’m so sorry that money was always more important than you.” I know a lot of people don’t get that kind of apology, and I was very tempted to just sweep it off the table like bread crumbs because it made me uncomfortable. I felt God just gently say: “Wait! You’ve been waiting all of your life to hear these words. Receive them.” And I did. I looked at my dad and I said, “Thank you.” Then I said, “I’m hopeful for what we can still have.” We did have some years. It wasn’t perfect, but I grew to the place where risking being in an ongoing relationship made sense to me. It grew me, and it grew him. It was never like perfect and—you know, whatever Christmas card you might want to have as your picture—but it was real, and it mattered. I knew I got what he could give. Dennis: There was another, I guess, player in this drama that was taking place in your life. A scene that you paint really is etched in my mind of you, as a little girl, waiting for your dad to come on those visits to take you out to dinner—and you being at the window, looking out at his Cadillac pulling up—and also having another woman in the car. It was his new wife. Dennis: What was your relationship like with your step-mom? Elisa: My step-mom came into my dad’s life really quickly. They were married the second the divorce was final pretty much. So, I honestly resented her. I mean, I try to say this nicely in the book, but I pretty much just bluntly said that I hated her. I mean, she took my daddy away—it felt to me like. She hurt my mom, and my dad hurt my mom. In many ways, I felt like they formed this brokenness in our world—so I resented her for many years. Dennis: You’re really talking about one of the major chapters in your book, which is “Forgiveness.” One of the things that you say, I think, is clearly taught in the Scripture—Ephesians 4 says, “Forgiving one another just as God in Christ has forgiven you.” You actually make the statement that you can’t give what you haven’t received. You learned that in some very fresh ways as you went through the process of forgiving your dad, forgiving your mom, and ultimately forgiving your step-mom. Elisa: Exactly. Forgiveness, I think, is a two-way street. There are two processes, and I think they’re a one/two. We’ve got to get them right in this order. We have to receive forgiveness—we have to get it—before we can give forgiveness. Then, as I really looked honestly, I realized: “Oh, how about hatred? How about resentment? How about selfishness? How about…” There were plenty of things. As God began to gently show me that I had almost a self-righteous / even proud disposition about being the good girl—that was shutting me off from what He wanted to give me. Elisa: And God had to lead me to see: “You know what? You really have some issues in your life, too, Elisa.” As I began to be able to be open to what my issues were—and see them for what they were and ask God to forgive me—then I began to be able to forgive my mom, my dad, my step-mother—each person. But you’re still in a relationship with an imperfect person who’s going to hurt you again. Even when they die, they can hurt you. You tell the story, which I have to say I think it’s remarkable of how both your dad and your step-mom ended up dividing their estates among their living relatives and their children. Dennis: It wasn’t birth order. Elisa: —it wasn’t birth order. Bob: And different kids got different amounts, based on their ranking. Elisa: Yes. You knew your ranking by the amount you got, basically. Dennis: And it’s all in print, right in front of you. Dennis: Because that’s the way it happens. Elisa: It is. I had never heard of such a thing; but, you know, we didn’t talk about this very much either. It’s not like everybody runs around sharing this stuff. As we began to see this, it was very uncomfortable. It was very uncomfortable to be a person below and it was uncomfortable to be a person / or a child ranked above. I was in one of those situations. Dennis: Oh, yes. Explain to them what she did. You said she had 900 relatives when she died. Dennis: Which really wasn’t accurate; but your point was that she didn’t just give you a slice of her inheritance—she gave you a fraction of a part of a slice. Elisa: Yes, yes. What she did was say, “You get one-half of one unit” kind of a thing. I came away thinking, “I’m a speck!” So here this other person had two shares or this person had fifty shares. I got one-half of one share / of one unit. “Wait a minute! I’m just like a gnat!”—that’s what I thought. Elisa: And God led me right back to it. I mean, this is what I said—you know, I’m pretty honest in this book: “I’ve got more work to do here! I’m not done. I’m mad at her still. I’m angry!” I was writing this book—and it had been years since she had passed—and I realized the resentment was bubbling up. I’m still allowing myself to be measured and evaluated by a parent or step-parent’s ranking. That’s not truth, but it still gets me. That’s where you’ve got to start—right there. But then, perhaps, there is a person, who is listening, who needs to do some business with God and, ultimately, lay aside the right to punish—maybe it’s a dead parent; maybe it’s a living parent; maybe it’s one you continue to clash with. I get it. I understand it. We’re all broken. If you’re going to have healthy relationships, ultimately, you have to practice healthy forgiveness that gives up that right to punish the other person. Bob: And somewhere in that process, you have to come to grips with the fact that God is good / God is in control. God does love you, and even things that hurt and feel bad have a divine purpose in your life. Dennis: There are lessons to be learned. Bob: And the fact that you were willing, here today and in the book, to pull back the curtain and share from the reality of your own life and not try to pretty it up for everybody—that is a ministry to all of us. I keep coming back to what I’ve heard Pastor Matt Chandler say in Dallas, when he says: “It’s okay not to be okay in church. It’s just not okay to stay there.” We want to be on the journey to be getting better. I think you help us with that by writing a book like The Beauty of Broken. And the subtitle is: My Story and Likely Yours Too. We’ve got copies of Elisa’s book in our FamilyLife Today Resource Center. I’d encourage our listeners—go to FamilyLifeToday.com. Click in the upper left-hand corner of the screen, where it says, “GO DEEPER.” You can order a copy of Elisa’s book, online, from us if you’d like. Again, the website is FamilyLifeToday.com—click in the upper left-hand corner, where it says, “GO DEEPER,” to get a copy of Elisa Morgan’s book, The Beauty of Broken. You know, as I think about what we’ve talked about today, I think about our mission, here at FamilyLife, to effectively develop godly families. The reality is that there are still going to be challenges in godly families because we still have remaining sin. We still deal with our flesh, and we continue to need to have our minds renewed according to God’s Word in this area of marriage and family. That’s what we’re committed to, here at FamilyLife Today. We want to provide practical biblical help for your marriage and for your family. —those of you who are monthly Legacy Partners—you are a key part of that team—and those of you who pitch in, from time to time, to make a donation—we appreciate your financial support. We couldn’t do what we do without you. If you’re able to help with a donation today, we’d like to say, “Thank you for your support,” by sending you a resource that Barbara Rainey has put together. It’s a spool of napkin ties that you can use to tie the silverware at a special meal. Each napkin tie has a question on it so you can have some conversation around the dinner table that might take you a little deeper and help you get to know one another a little better. You can make a donation to FamilyLife Today by going to FamilyLifeToday.com and clicking in the upper right-hand corner of the screen, where it says, “I Care,”—make an online donation. Or call 1-800-FL-TODAY and make your donation over the phone. You can also mail a donation to us at FamilyLife Today, PO Box 7111, Little Rock, AR. Our zip code is 72223. If you get in touch with us by phone or by mail, be sure to ask for the napkin ties—Barbara Rainey’s “Untie Your Story” resource. We’re happy to send it to you. And I hope you can join us back again tomorrow. We’re going to move from talking about Elisa Morgan’s family of origin to talking about some of the brokenness that occurred in her own family as she and her husband started raising their kids. I hope you can tune in for that.